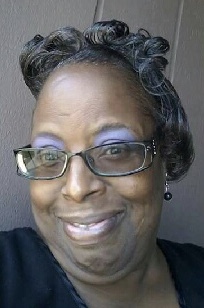 Sonya M. Dotson, a native of Mobile, Alabama, was born January 16, 1966, and departed this life on June 14, 2018. She was preceded in death by her mother, Irma Gean Olds, and a sister, Ethel Winston Milton. She leaves to cherish her memories: her father, John (Patricia) Mickles; two aunts, Georgia (Willie) Campbell and Doreen Floyd; two sisters, Ester (David) Scott and Sherain (Lorenzo) Kimbrough; one brother, John (Charlene) Mickles; three sons, Antonio (Porsha) Dotson, Shaun (Sandria) Dotson, and Kelderrick Dotson; and a host of nieces, nephews, and grandchildren.